Nefertum is male and similar to Atum, he represents the process of electromagnetic induction whereby light is created shown by the lotus flower on his head. Nefertum supports the lotus flower on his head, with the red, green, and blue components that make up white light. Lotus flowers sink underwater at night with petals the beautify the dark symbolizing the light in the dark of space. His hieroglyphs describe him as negative charge induction. 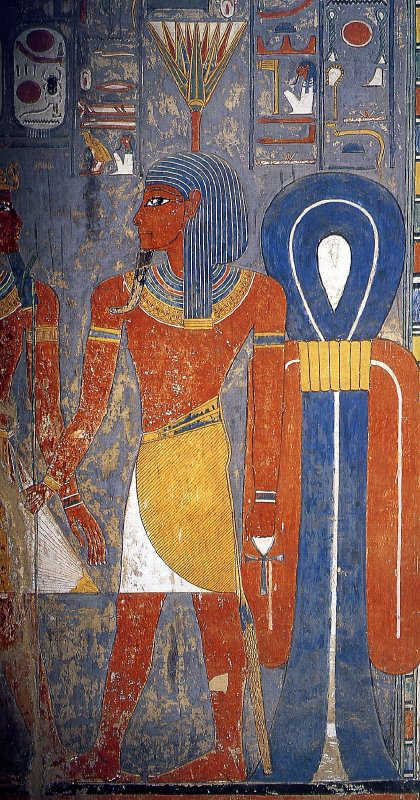 The God Nefertum depicted in the Dynasty 18 tomb of the Pharaoh Horemheb.